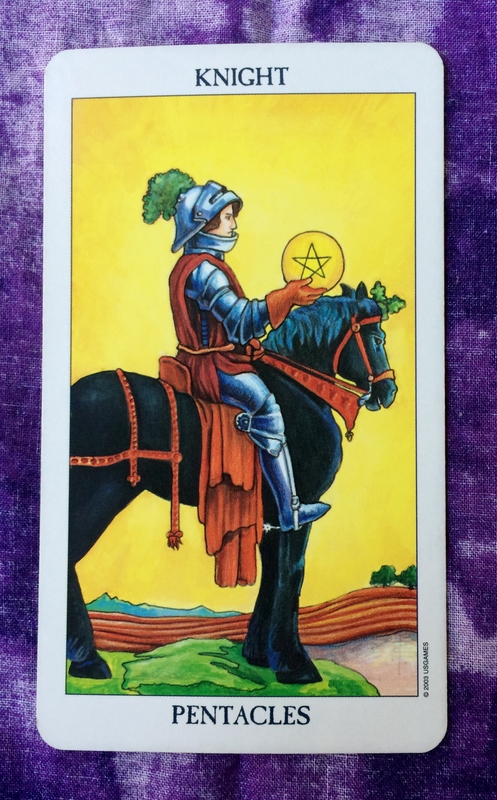 The card for today is the Knight of Pentacles. Slow and steady is the key for today, especially as it relates to practical matters. Be moderate in your spending and if you have to make any decisions, take the sensible approach. Don’t go out on a limb. You might get some good news today regarding money, such as getting a raise, an approval for a loan, or an increase in your credit card limit. You could do well today on a job interview, especially if your prospective employer is a solid, conservative company. Minimize stress by taking it one step at a time. Today we’re running a marathon, not sprints.